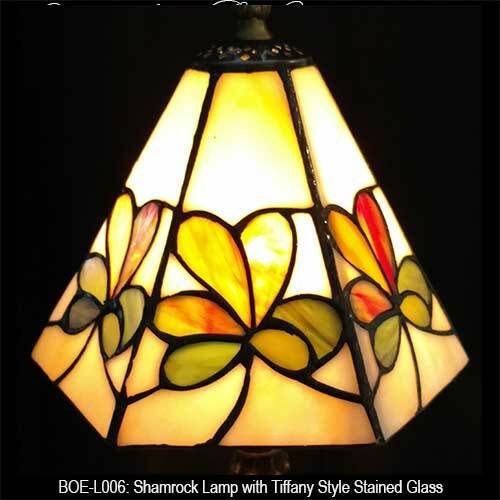 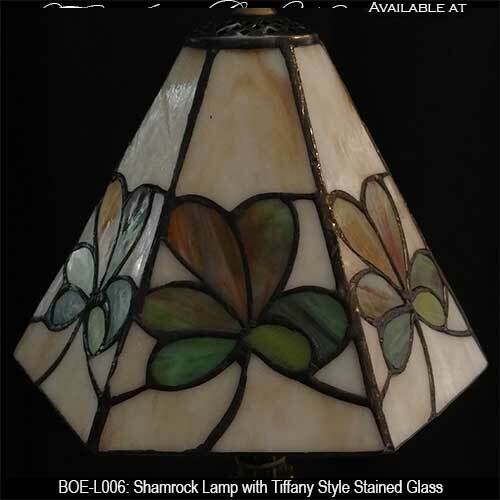 Shamrock lamp features a stained glass Irish design. 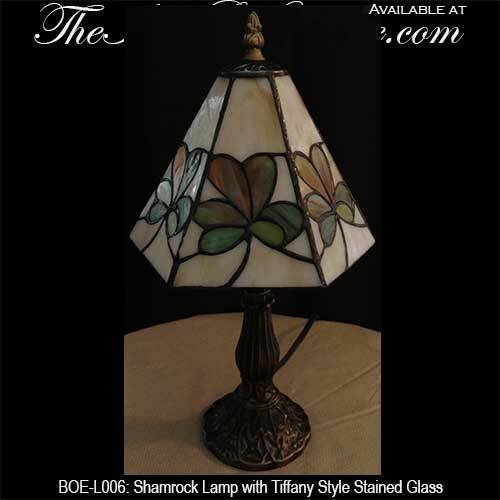 This Irish lamp is an ideal size for an accent or desk lamp. 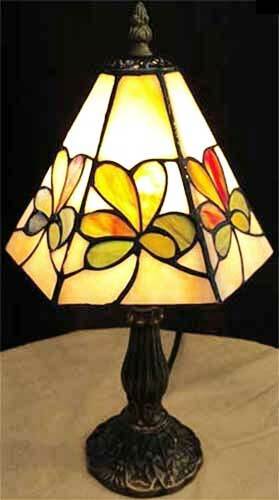 The stained glass shamrock lamp is imported, minor assembly required.